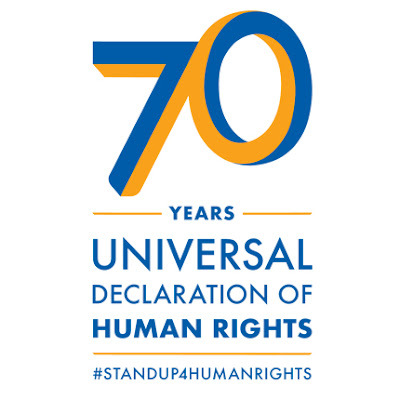 70th Anniversary of the Universal Declaration of Human Rights 2018 Netherlands..
by the United Nations General Assembly in 1948 and is a milestone document in the history of human rights. protected and the Declaration recognizes the inherent dignity and the equal and inalienable rights of all members of the human family as the foundation of freedom, justice and peace in the world. Around the world, we see that human rights are increasingly under pressures and space for civil society, journalists and cartoonists is shrinking. It is therefore imperative that we continue to work together to make sure that the next generation is educated about their rights and the Declaration and what better way to do that than through cartoons. of the Netherlands together with the Cartoon Movement wish to celebrate this momentous occasion by launching a cartoon contest. This project is not only open to Cartoon Movement cartoonists, but to all cartoonists around the world. Everyone is invited to draw a cartoon for every article (or multiple articles) of the Universal Declaration. The cartoon can relate to any aspect of the respective article. Multiple cartoons will be drawn per article and an open voting process will then determine what cartoon best represents the content of the right contained in the article. Once all the cartoons have been prepared, an online platform (Facebook) will be created. On this platform all cartoons will be displayed and OHCHR and the Kingdom of the Netherlands, in collaboration with the Cartoon Movement and several schools around the world, will ensure that younger people (age 11 – 19 years) vote for the best cartoon for each article. The cartoons will also be distributed via the respective social media channels of OHCHR and the Kingdom of the Netherlands to invite everyone who is interested to vote to do so. When several cartoons per article receive a similar number of votes the organizers of this project will help select the winning cartoon. The winning cartoon per article will be printed and an art exhibition will be organized in The Hague or Geneva in the fall of 2018. This exhibition will be co-sponsored by the OHCHR, The Netherlands and the Cartoon Movement. -IMPORTANT: As the objective is to unite around the Declaration and illustrate its principles, the cartoons should not mention any specific countries, political figures or issues that would go against the values of the United Nations. The organizers reserve the rights to preselect for the voting process only the cartoons complying with these recommendations. Cartoons can be upload to our project newsroom UN Human Rights.